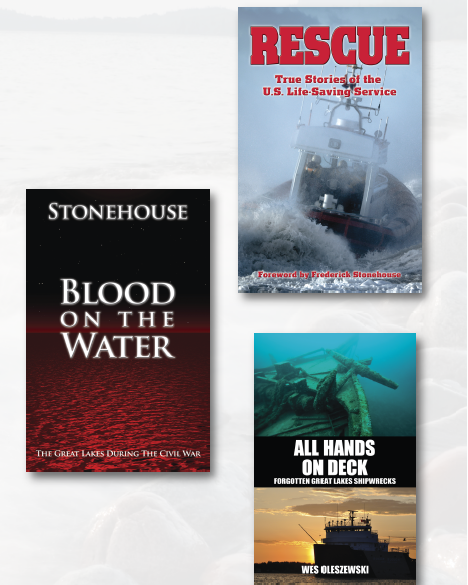 Our array of books are by well-known authors and historians, Fred Stonehouse, Wes Oleszewski, and Wayne Kadar. Each of these talented authors brings their own style of storytelling to the subject at hand. Despite the differences in their individual storytelling technique, you will find that all three do deep and thorough research on their particular book's subject matter. The cookbook section highlights quite a diverse selection of cookbooks. If you want all zucchini recipes, there is a book for that, likewise blueberries, peaches, pears and more. Two excellent general cookbooks are also featured that are filled with everyday recipes sure to please. For UP North flavor, you will find the popular Northwood’s Reader series by Cully Gage. And there is sure to be some laughing out loud when readers pick up one of Lon Emerick’s two very funny satirical books about the UP, You Wouldn’t Like It Here and the sequel, You Still Wouldn’t Like It Here.